Workbook of Conversational Chinese 301 Vol.2 selects many practical and efficient drilling methods developed through years of teaching practice. Taking the HSK testing items into consideration, it corrects the easily committed errors and provides comprehensive drilling from multi-perspectives. 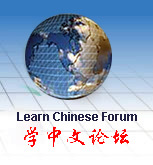 From the collocation of words, to structural transformation in different language situations and reading comprehension, it prompts the learners to extend the scope of language application horizontally, leading them to improve the understanding and use of Chinese. Just released in 2008!